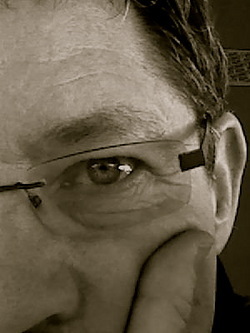 Steven George Bustin is an internet pioneer, entrepreneur and senior internet media executive. He cofounded one of the earliest internet advertising networks and then founded an internet marketing and advertising agency. He has authored multiple articles on internet marketing and advertising, published in the San Francisco Chronicle, San Francisco Examiner and ClickZ.com, among others. Steven was an early adopter not only of the internet, but emerging digital media including Rich Media, Search, Out of Home and Social Media. He has worked with, for and served on the advisory board of many internet startups. A passionate student of history and the human condition, Steven has a particular interest in WWII and the USS Nashville. His father, George Bustin served aboard the ship for 3 1/2 years during the war. 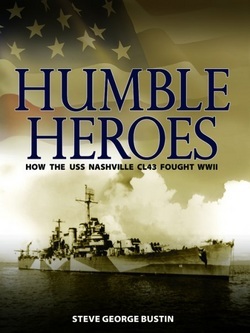 Once the decision was made to write of the Nashville, he conducted hundreds of interviews with the crew and attended the reunions where he was made an honorary member of the crew and became friends with many of the men and their families. Steven has a BS in Business Administration with minors in history and economics from the University of Maryland, and an MBA in Marketing from Golden Gate University in San Francisco. He was adjunct part time faculty at Golden Gate University of San Francisco, St. Mary’s College of California and University of California at Berkeley for 20 years. Born in Baltimore, Maryland, Steven can trace his family tree to the early 1600s in America including direct ancestors in both the American Continental Army and South Carolina Militia during the American Revolution. He is an active member in several organizations including the United States Coast Guard Auxiliary, currently is working on two other books and resides north of San Francisco with his wife Gigi. “Top Secret” mystery missions, many without other ships in support, were becoming uncomfortably familiar for the crew of the USS Nashville CL43. It started like a Hollywood thriller, secretly transporting from England $25 million in British gold bullion, delivered to the ship in unguarded bread trucks, a pre-war “Neutrality Patrol” that was really an unofficial hostile search for the far bigger and more powerful German battleship Prinz Eugen, and sneaking through the Panama Canal at night with the ship’s name and hull number covered for secrecy. Now, with the ship bulging with an unusual load of fuel and supplies, in the company of a large fleet quietly passing under San Francisco’s Golden Gate Bridge, the crew was about to learn of their latest (but not last) and most improbable adventure yet as the captain made an announcement that would change the war and their lives forever, “We are going to Tokyo!”. Over three years, scores of battles and hundreds of thousands of ocean miles later, the Nashville and her crew had earned 10 Battle Stars, served from the North Atlantic to the South Pacific, from the Aleutians to the Yangtze River, as McArthur’s flagship and suffered heavy casualties from a devastating kamikaze attack. Tokyo Rose reported her sunk, repeatedly. Earlier, with goodwill trips that included France, England, Scandinavia, Bermuda and Rio de Janeiro, the new, sleek Nashville built a pre-war reputation as a “glamour ship”. But with war came the secret missions, capturing the second and third Japanese POWs of the war, having a torpedo pass just under the stern, being strafed and bombed by Japanese planes, losing a third of the crew in a single devastating Kamikaze attack, swimming in shark infested waters protected by marines with machine guns, enjoying the beauty of Sydney and her people, planning a suicide mission to destroy the Japanese fishing fleet, and bombarding Japanese troops and airfields across the Pacific. The Nashville crew served their ship and country well. They came from Baltimore row-houses, New York walk-ups, San Francisco flats, Kansas wheat farms, Colorado cattle ranches, Louisiana bayous and Maine fishing towns. Many had never traveled more than 25 miles from home and had never seen the ocean until they joined the service. They were part Irish, part Italian, part Polish and All-American. Battered, burnt and bombed, they made the USS Nashville their home and lived and died as eternal shipmates. Historical narrative enriched with the personal stories of the crew, this is the story of a ship and crew of ordinary men who did extraordinary things.